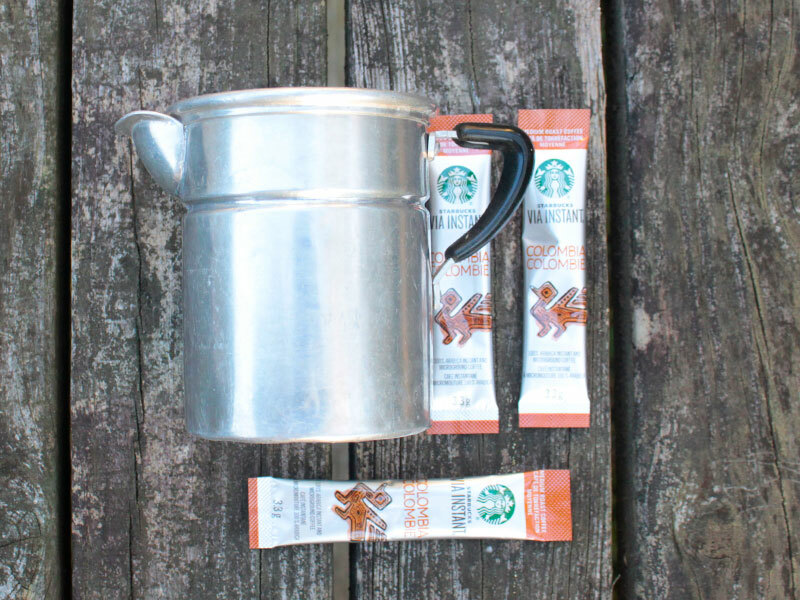 Our quest for the perfect camp coffee has roughly followed our outdoor evolution. Self described coffee fanatics the thought of no coffee in the morning has never been an option - even in the remotest of locations. We've always packed in a caffeine delivery system of one form or another. 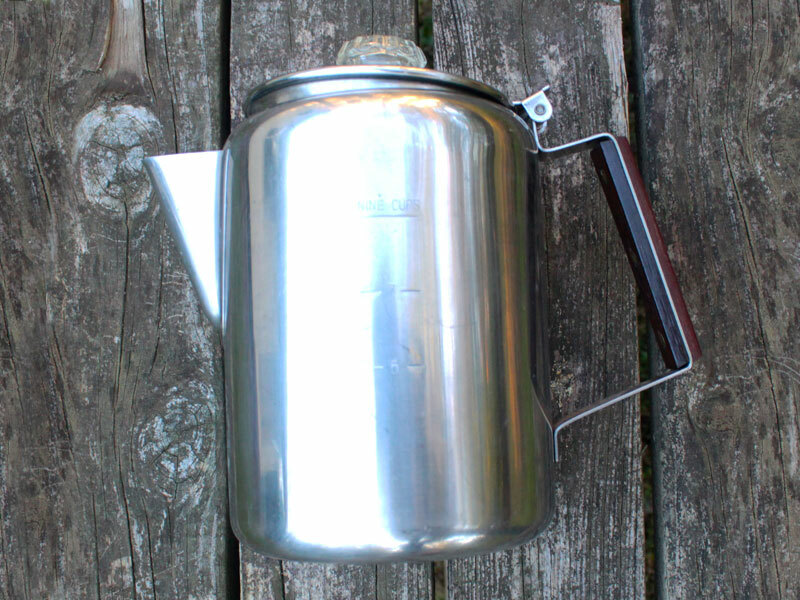 The Rolled Steel Percolator: (24.73oz) As witnessed by our first solution, we never gave any thought to even one 'C' so the classic rolled steel percolator, while aesthetically pleasing and making a decent albeit gritty brew, its size, weight and clean-up issues quickly removed it from the cookwear bin. 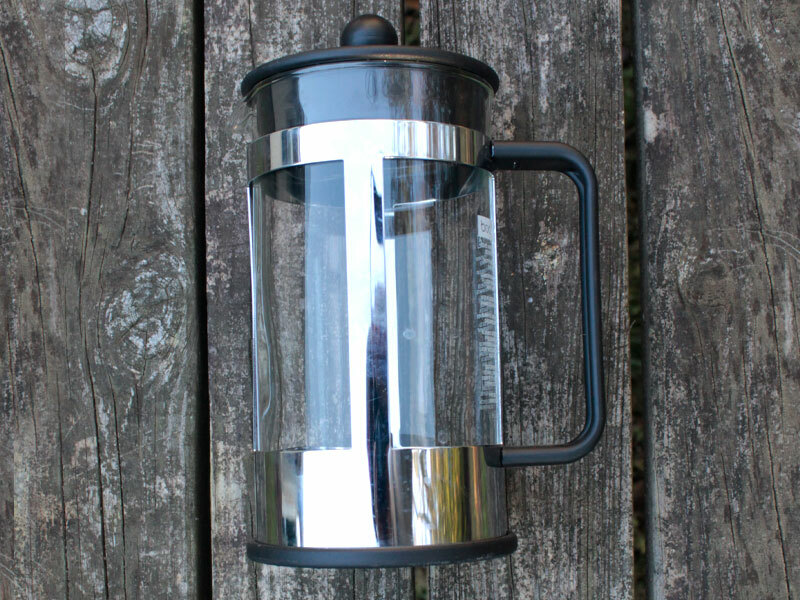 French Press: (20.21oz) Due to the containment and clean-up, the French press – cost effective and tasty – only lasted one weekend in our kit. There are smaller versions available, but we don't see much difference in the clean-up. The French press was time-consuming to clean, ranking right up there with the aforementioned percolator. Starbucks Via: (2.26oz) A classic case of overcorrection led us to a more instant solution which just can't be beat on 3 of the 4 measures – convenience, clean-up, and containment. Boil, pour, stir, repeat. But all that comes at a cost which may very well trump the other 3. Even at our Costco best price, we were still looking at better than $0.50/cup which really starts to add up if you have 3-4 coffee drinkers in your camp. That being said the Via packets will still have a place in our kit for those times where you just need something quick or when saving space + weight is a premium. If you can look beyond its self-aggrandizing typography, the AeroPress might strike the perfect 4-C balance, even more so if you 86 a few items that are included. Our revised solution comes in at 6.28oz - down from its shipping weight of 11.08oz. 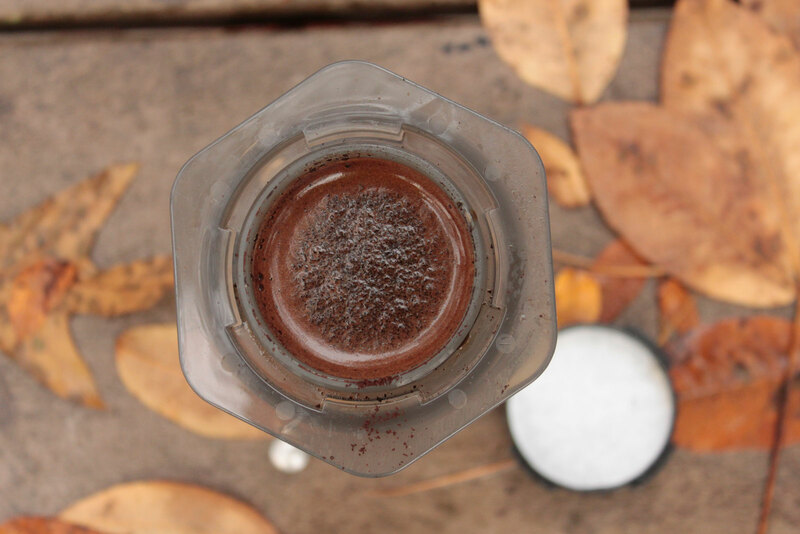 If you are familiar with the operation of a French coffee press, then you'll find making coffee in the AeroPress an easy adjustment. Dump the grounds in the chamber, pour over hot water, wait a few minutes, and press away. 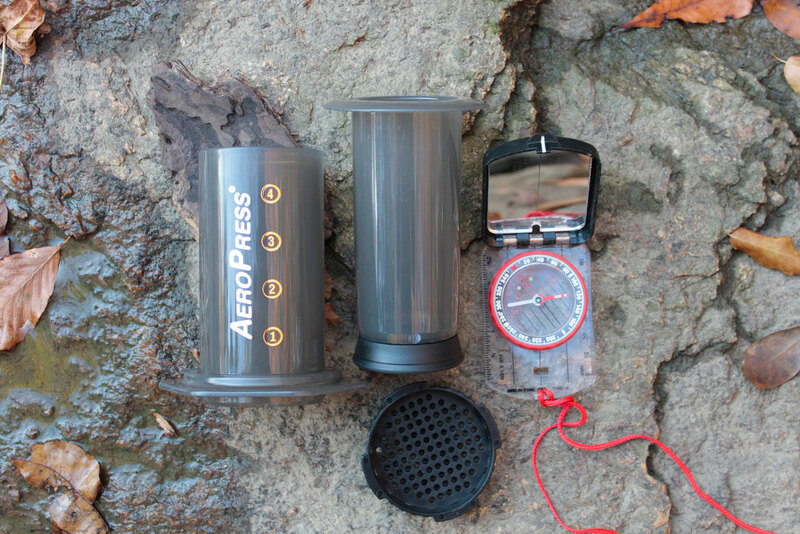 Where the AeroPress diverges from its French press cousin is that it delivers the product directly to your coffee cup and leaves behind a self-cleaned brew chamber. Clean-up of the AeroPress only requires a quick rinse of the plunger and a chuck of the little filter and compressed grounds. The process is akin to making a cup of espresso and the resulting brew is definitely rich, frothy, and aromatic. 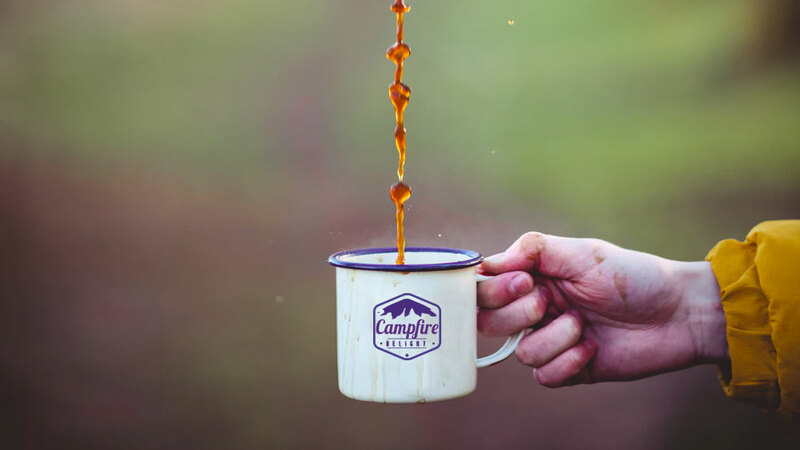 There are many solutions to making the perfect cup of camp coffee and maybe no one has come up with the perfect delivery system for every situation. Start with evaluating your team's needs using the 4-C's as a model and you'll soon find yourself to the perfect cup-a-joe for your camp.